My students and I study biogeochemistry and water quality in streams and rivers. We are particularly interested in nutrients (nitrogen and phosphorus), organic carbon, and emerging wastewater contaminants, such as pharmaceutical compounds. We investigate both patterns and processes, using a combination of field studies and laboratory experiments. Most of our projects are interdisciplinary and we often collaborate with researchers in other fields of study, such as hydrology, microbiology, and aquatic entomology. My graduate students are enrolled in the Environmental Science program in the O'Neill School of Public & Environmental Affairs at Indiana University. I am also an adjunct professor in the Department of Biology at IU and can serve as the major advisor for students enrolled in the doctoral program in biology. 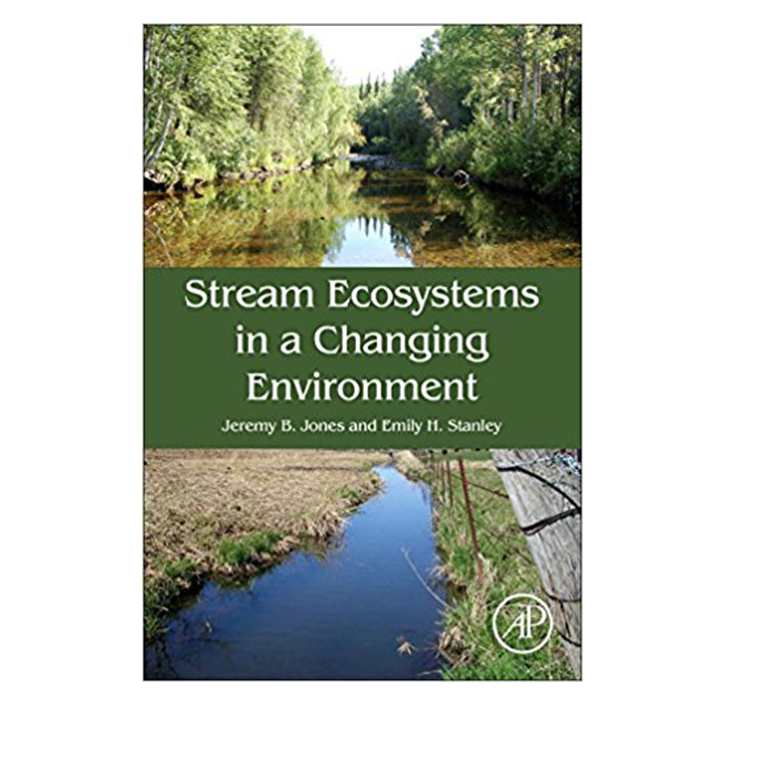 Dr. Royer authored a chapter in the book Stream Ecosystems in a Changing Environment edited by Jay Jones and Emily Stanley. The Indiana Watershed Initiave now has its own website. Dr. Royer led the one of IU's Grand Challenge proposals, on Shaping Our Future: Knowledge, Science, and Governance for Sustainable Water Resources. IU's involvement in water quality research was recognized by the White House. The Tank Lab at Notre Dame were featured in a video on Fighting for Clean Water, which highlighted research including the RCPP project on which we are collaborating. "Farmers: EPA rule will be costly" Reporter-Times 13 July 2015. "Does road salt hurt the environment?" WISH TV 5 February 2014. "Anti-anxiety drug found in rivers makes fish more aggressive" Nature 14 February 2013. News feature about our work on transgenic corn and the controversy it generated. Nature 3 September 2009. “Agricultural Sector Faces Challenges in Reducing Stream Phosphorus Loads.” CSA News Vol. 52 No. 4 April 2007. “Nutrient pollution slips under regulatory radar.” Environmental Science & Technology. 1 July 2006.